How to save Income Tax on Income from salary for Individuals? Latest Updates on Budget 2019 : Standard tax deduction for salaried persons raised from Rs. 40,000 rupees to Rs. 50,000 rupees. Read here to know the highlights of the Interim Budget 2019. As soon as the filing season begins, salaried class are in a frenzy about taxes they must shell out for the said financial year. It is important to understand your tax slab and what each of your salary breakup component means. This can help you figure out how to save on taxes. If you want to understand your salary components or want to learn how you can save tax on your salary income, this guide is for you. This is a fixed component in your paycheck and forms the basis of other portions of your salary, hence the name. For instance, HRA is defined as a percentage (as per the company’s discretion) of this basic salary. Your PF is deducted at 12% of your basic salary. It is usually a large portion of your total salary. Salaried individuals, who live in a rented house/apartment, can claim house rent allowance or HRA to lower tax outgo. This can be partially or completely exempt from taxes. The income tax laws have prescribed a method for computing the HRA that can be claimed as an exemption. Read more about how to claim HRA exemption. Also do note that, if you receive HRA and don’t live on rent your HRA shall be fully taxable. Case Study: Malvika works at an MNC in Bangalore. Her company provides her with a house rent allowance. But she doesn’t live in a rented accommodation as she lives with her parents. How can Malvika make use of this allowance? Malvika can pay rent to her parents and claim the allowance provided they own the place they currently live in. All she has to do is enter into a rental agreement with her parents and transfer money to them every month. This way Malvika can make a nice gesture and give back to her parents, and two, save some taxes. But remember, Malvika’s parents will have to show the rent she paid in their income tax returns. Salaried employees can avail exemption for a trip within India under LTA. The exemption is only for the shortest distance on a trip. This allowance can only be claimed for a trip taken with your spouse, children, and parents, but not with other relatives. This particular exemption is up to the actual expenses, therefore unless you actually take the trip and incur these expenses, you cannot claim it. Submit the bills to your employer to claim this exemption. Read more about how to claim this exemption. The bonus is usually paid once or twice a year. Bonus, performance incentive, whatever may be its name, is 100% taxable. Performance bonus is usually linked to your appraisal ratings or your performance during a period and is based on the company policy. Provident Fund or PF is a social security initiative by the Government of India. Both employer and employee contribute a 12% equivalent of the employee’s basic salary every month toward employee’s pension and provident fund. An interest of about 8.55% from FY 2017-18 (earlier it was 8.65%) gets accrued on it. This is a retirement benefit that companies with over 20 employees must provide as per the EPF Act, 1952. Standard Deduction has been reintroduced in the 2018 budget. This deduction has replaced the conveyance allowance and medical allowance. The employee can now claim a flat Rs. 50,000 (Prior to Budget 2019, it was Rs. 40,000) deduction from the total income, thereby reducing the tax outgo. Professional tax or tax on employment is a tax levied by a state, just like income tax which is levied by the central government. The maximum amount of professional tax that can be levied by a state is Rs 2,500. It is usually deducted by the employer and deposited with the state government. In your income tax return, professional tax is allowed as a deduction from your salary income. Your job may entitle you to some benefits in the form of food coupons or a cab service apart from your salary. The total cost to the company is the sum of all the benefits offered plus your salary. Below is an example of components of your CTC that is on your offer letter. Whereas this is how your payslip will look for the CTC mentioned above. a. Salary received each month. b. Retirement benefits such as PF and gratuity. c. Non-monetary benefits such as an office cab service, medical insurance paid for by the company, or free meals at the office, a phone provided to you and bills reimbursed by your company. a. Gross salary received each month. b. Minus allowable exemptions such as HRA, LTA, etc. c. Minus income taxes payable (calculated after considering Section 80 deductions). Check with your employer about their leave encashment policy. Some employers allow you to carry forward some amount of leave days and allow you to encash them while others prefer that you finish using them in the same year itself. The amount received as compensation for leave days accumulated is referred to as leave encashment and it is taxable as salary. It is fully exempt for Central and State government employees. For non-government employees, the least of the following three is exempt. The amount chargeable to tax shall be the total leave encashment received minus exemption calculated as above. This is added to your income from salary. a. Calculate the tax payable on the total income, including additional salary in the year it is received. g. The excess amount at Step 3 over Step 6 is the tax relief that shall be allowed. Note that if the amount at Step 6 is more than the amount at Step 3, no relief shall be allowed. b. Maximum compensation received does not exceed Rs 5,00,000.
c. The recipient is an employee of an authority established under the Central or State Act, local authority, university, IIT, state government or central government, notified institute of management, or notified institute of importance throughout India or any state, PSU, company or a cooperative society. d. The receipts are in compliance with Rule 2BA. No exemption can be claimed under this section for the same AY or any other if relief under Section 89 has been taken by an employee for compensation of voluntary retirement or separation or termination of services. Note: Exemption can only be claimed in the assessment year the compensation is received. Pension is taxable under the head salaries in the income tax return. Pension is paid out periodically on a monthly basis usually. You may also choose to take pension as a lump sum (also called commuted pension) instead of a periodical payment. At the time of retirement, you may choose to receive a certain percentage of your pension in advance. Such pension received in advance is called commuted pension. For e.g.- At the age of 60, you decide to receive in advance 10% of your monthly pension of the next 10 years of Rs 10,000. This will be paid to you as a lump sum. Therefore, Rs.10% of 10000x12x10 = 1,20,000 is your commuted pension. You will continue to receive Rs 9,000 (your uncommuted pension) for the next 10 years until you are 70 and post 70 years of age, you will be paid your full pension of Rs 10,000. Uncommuted pension or any periodical payment of pension is fully taxable as salary. In the above case, Rs 9,000 received by you is fully taxable. Rs 10,000 starting the age of 70 years are fully taxable as well. Commuted and Uncommuted Pension Commuted pension or lump sum received may be exempt in certain cases. For a government employee, commuted pension is fully exempt. Uncommuted pension or any periodical payment of pension is fully taxable as salary. In the above case Rs 9,000 received by you is fully taxable. Rs 10,000 starting the age of 70 yrs are fully taxable as well. For a non-government employee, it is partially exempt. If gratuity is also received with a pension – 1/3rd of the amount of pension that would have been received, if 100% of the pension was commuted, is exempt from commuted pension and remaining is taxed as salary. If only the pension is received, gratuity is not received then ½ of the amount of pension that would have been received, if 100% of the pension was commuted, is exempt. Pension received by a family member though is taxed under ‘Income from other sources‘ in the income tax return. If this pension is commuted or is a lump sum payment it is not taxable. Uncommuted pension received by a family member is exempt to a certain extent. Rs 15,000 or 1/3rd of the uncommuted pension received – whichever is less is exempt from tax. Pension that is received from UNO by its employees or their family is exempt from tax. Pension received by family members of Armed Forces is also exempt. Gratuity is a retirement benefit that employers provide for their employees. The employee is entitled to receive gratuity when he completes five years of service at that company. It is, however, only paid on retirement or resignation. Gratuity received on retirement or death by a central, state or local government employee is fully exempt from tax for the employee or his family. The tax treatment of your gratuity is different, depending on whether your employer is covered by the Payment of Gratuity Act. Check with your company about its status, and then proceed to calculate. If your employer is covered by the Payment of Gratuity Act, then the least of the following three is tax-exempt. 15 days salary based on the salary last drawn for every completed year of service or part thereof in excess of 6 months. If your employer is not covered under the Payment of Gratuity Act, the least of the following three is tax-exempt. Half month’s salary for each completed year of service. While calculating completed years, any fraction of a year shall be ignored. For example – if you have worked in an organization for 14 years and 9 months, the number of years of employment shall be considered to be 14 years. Here salary is taken as the average salary of the 10 months immediately before the month in which the person retires. Your income is not equal to your salary. You could earn income from several other sources other than your salary income. Your total income, according to the Income Tax Department, could be from house property, profit or loss from selling stocks or from interest on a savings account or on fixed deposits. All these numbers get added up to become your gross income. Income from house property Income from house property you own; property can be self-occupied or rented out. Income from other sources Income accrued from fixed deposits and savings account come under this head. Income from capital gains Income earned from the sale of a capital asset (mutual funds or house property). Income from business and profession Income/loss arising as a result of carrying on a business or profession. Freelancers income come under this head. Add up all your income from the heads listed above. This is your gross total income. From your gross total income, deductions under Section 80 are allowed to be claimed. The resulting number is the income on which you have to pay tax. ClearTax’s app lets you determine your tax refund or dues for the year. Download the app here. Your tax is calculated as per the slabs mentioned below. Income Tax Rates for taxpayers under 60 years of age in FY 2018-19, FY 2017-18 and FY 2016-17. For FY 2018-19 – Health and education cess is 4% on the sum of total income tax and surcharge. For FY 2017-18 and 2016-17 Higher education and secondary cess is 3% on the sum of total income tax and surcharge. Rohit’s total taxable income for FY 2018-19 is Rs 8,00,000. How will the tax slabs be applied to him? Skip the steps and use our updated income tax calculator instead. TDS is tax deducted at source. Your employer deducts a portion of your salary every month and pays it to the Income Tax Department on your behalf. Based on your total salary for the whole year and your investments in tax-saving products, your employer determines how much TDS has to be deducted from your salary each month. For a salaried employee, TDS forms a major portion of an employee’s income tax payment. Your employer will provide you with a TDS certificate called Form 16 typically around June or July showing you how much tax was deducted each month. Understand your Form 16 better here. Your bank may also deduct tax at source when you earn interest from a fixed deposit. The bank deducts TDS at 10% on FDs usually. A 20% TDS is deducted when the bank does not have your PAN information. Form 16 is a TDS certificate. Income Tax Department mandates all employers to deduct TDS on salary and deposit it with the government. The Form 16 certificate contains details about the salary you have earned during the year and the TDS amount deducted. It has two parts – Part A with details about the employer and employee name, address, PAN and TAN details and TDS deductions. Part B includes details of salary paid, other incomes, deductions allowed, tax payable. Did you know that Form-16 is all you need to e-file your income tax returns on ClearTax? Form 26AS is a summary of taxes deducted on your behalf and taxes paid by you. This is provided by the Income Tax Department. It shows details of tax deducted on your behalf by deductors, details on tax deposited by taxpayers and tax refund received in the financial year. This form can be accessed from the IT Department’s website. The lower your taxable income, the lower taxes you ought to pay. So be sure to claim all the tax deductions and benefits that apply to you. Section 80C of the Income Tax Act can reduce your gross income by Rs 1.5 lakhs. There are a bunch of other deductions under Section 80 such as 80D, 80E, 80GG, 80U etc. that reduce your tax liability. Does salary include all kinds of pension? The definition of salary includes pension. However, pension is what is payable by an employer or previous employer to an employee. Where a pension policy is covered under a contract of employment i.e. say an employer bought it, then also it is taxed under salary. However, pension paid out of any policy with a life insurance company cannot be taxed as salary and will be taxable under the head “Other source”..
Do note that pension received from the United Nations Organization is exempt. Allowances are part of your CTC and are periodic amounts apart from the salary that is paid by the employer to employees to meet particular requirements if the employees. Eg Leave Travel Allowance, House Rent Allowance etc. In fact, exemptions have been provided under law in respect of these allowances too. There are generally three types of allowances for the purpose of Income-tax Act – taxable allowances, fully exempted allowances and partially exempted allowances. What are perquisites? How are they taxed? Employees, as a result of their official position, are given benefits which are called perquisites in income tax parlance. These are received over and above the salary or wages of the employee. eg. Provision of Rent Free Accommodation, vehicles to employees etc. These perquisites can be taxable or non-taxable depending upon their nature. The valuation of perquisites is provided under Rule 3 of the Income Tax Rules, 1962. No taxes have been deducted from my salary by my employer. Should he still issue a Form 16? Form 16 is a statement of taxes deducted by the employer on the employee’s salary income. If taxes have not been deducted, there is no mandate on the employer to issue a form 16. They can, however, issue a salary statement. Yes. Arrears of salary are taxable. However, one can claim relief under Section 89 in this regard. I have losses from house property. I have incurred losses from my business too. Can I set off such losses against my salary income? Losses from house property can be set off against salary income. However, business losses are not allowed to be set off against business income. I have been employed under 2 employers during the same year. Can I claim a basic exemption of Rs 2.5 lakhs against each of the salary incomes? 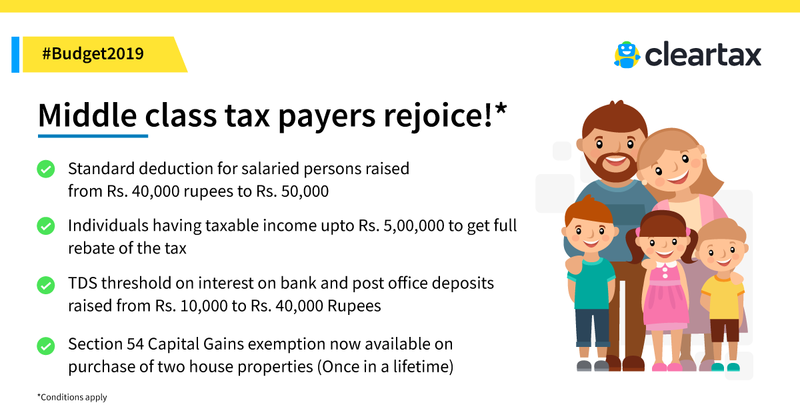 Such basic exemption of Rs 2.5 lakhs is for your overall income for the year. You cannot claim this against various incomes separately. Therefore, you must sum up all your income during the year including the salary income from both your employers and then claim a basic exemption of Rs 2.5 lakhs from such income. I have been employed with 2 employers during the same year and because my income did not cross the basic exemption limit under each of the employers, no TDS was done. Should I pay any income taxes on my own? Can I claim an HRA benefit if I enter into a rental agreement with my wife? This is not an advisable tax planning measure. The intention of Section 10(13A) for claiming HRA as an exemption is to help employees who are forced to live closer to their workplace or sometimes in another city for employment. Where you get into an arrangement of paying rent to your wife and then claim HRA exemption, it cannot be said to be within the framework of law because a husband and a wife, typically, do not share a commercial relationship. If such an arrangement catches the eye of the income tax department, it is bound to be viewed as tax evasion. Professional Tax is levied on all professions, trades, and employments and levied based on the income of such profession, trade or employment. Read more to know about rates, who should pay it, payment procedure & consequences of violation of Professional Tax Regulation. Transport Allowance forms part of an employee's salary structure. This article discusses the meaning of Transport Allowance, Exemption available, conditions attached and changes in Budget 2018 in this regard. List of various allowances and deductions allowed to salaried individuals which helps reduce the tax burden and building capital in the long run. In the union budget 2018, the finance minister has proposed to reduce the EPF contribution rates of new female employees from 12% to 8%. It aims to boost female participation in the workforce. Standard deduction of Rs 40,000 reintroduced in the Budget 2018. To replace transport and medical allowance. Learn how it would impact your income tax. Can an employee claim exemption of HRA exemption on a rented hotel room ? Read this article to find out if it is possible. Find out how can you claim LTA - Leave Travel Allowance. Check out the example given for better understanding of LTA rules and lta block. Check out the taxation of cashback and how you can deal with taxes applicable on Instant cashbacks and Deferred cashbacks or cashback referrals. Are stipends taxable? Check out whether you should file income tax return or not. Know about TDS on stipend and deductions on expenses. Find out the difference between Form 16 and Form 16A. Form 16 is for only salary income while Form 16A is applicable for TDS on Income Other than Salary. Is Pension Taxable? Check out the example mentioned with calculations to find out when the pension is and when it is not taxable. Find out what is form 16 and how to fill form 16? Know about form 16A and form 16B. 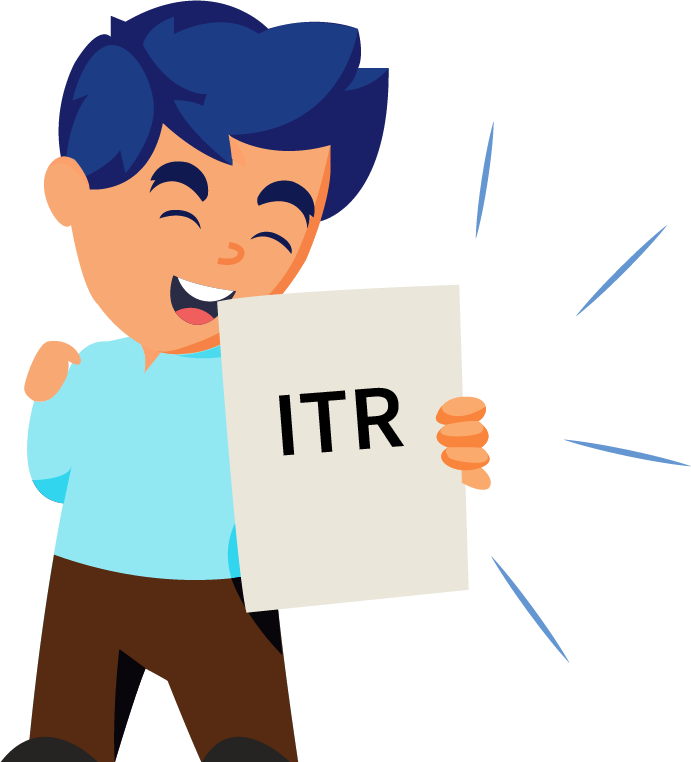 Upload your Form 16 and start filing Tax retuns. Find out what is AY - Assessment Year & FY - Financial Year. Know the difference between AY and FY. Check out the recent years under AY & FY. Gratuity Exemption calculation. How much tax to pay on Gratuity. When is Gratuity applicable. Can I pay rent to my parents to save tax? File Income Tax Returns online with ClearTax. ClearTax is fast, safe and very easy to use. Save money. ClearTax handles all cases of Income from Salary, Interest Income, Capital Gains, House Property, Business and Profession. ClearTax maximize your deductions by handling all deductions under Section 80 like section 80C, 80D, 80CCF, 80G, 80E, 80U and the rest. You can use your digital signature to e-file. Our products are trusted by hundreds of CAs and corporations for filing taxes and TDS. Clear up your confusion on this most commonly asked question! Form 12BB is a tax-saving declaration statement that employees have to submit to employers. Read more about Form 12BB and download it. All you need to know about Form 16. Upload your Form 16 and prepare income tax return automatically. Understand what is Part A & Part B of Form 16 with example. We support multiple Form 16. Tax treatment of stipend income depends on whether it is considered a scholarship or a salary. Guide to understanding your Form-16A. Form-16A also called the TDS Certificate contains information about the TDS deducted by a deductor on payments to you. Form-16A is on TDS for non-salary payments. You can claim tax relief under Section 89(1) on salary arrears.